On this site you will discover the most beautiful way to learn how to play the piano and how you can finally make your dream come true to master it. ...if you are able to play ANY Song you would like to play on the piano? 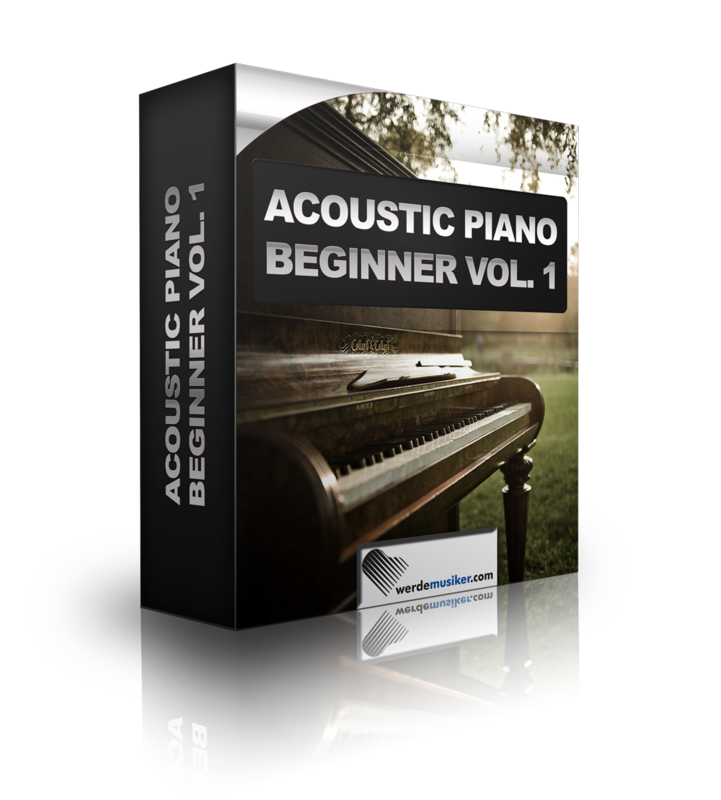 Have you ever dreamed of playing all the wonderful piano songs on your piano by yourself? Songs like movie soundtracks, chart hits, classical pieces, Jazz, Gospel, Ragtime or Blues? Would you like to get a rest and switch off from your everyday life? Just relax and let your fingers run free above the keys. Or would you just like to train your brain? ... you could vamp on the piano and your fingers seem to fly over the keys so that beautiful melodies come out of your piano? ... you could play with other musicians or friends together in a band or live on stage for a big audience? ... you could do what you want on the piano everytime and everywhere? You will see that there's no need to practice boring stuff and ineffective exercises when you would like to play great songs and make music which sounds really good. It's not true that beginners have to bother with extremely boring exercises before they get the chance to play beautiful piano pieces and popular piano melodies. Yes, I'm talking about really nice music and NOT simple stupid versions of popular songs. If you know some basic chords (the right ones) and if you practice them the way I'm going to teach you, you will be able to play all your favorite songs you can imagine. And if you like, you will also be able to vamp and improvise free without any sheets at your piano. As you may know, I played the piano at the most beautiful hotel bars in the world for years (Ritz /Paris, Plaza/New York, Adlon/Berlin, Maritim/Cologne and much more...). Evening after evening guests from the whole world were visiting me at the hotel bar. These people had very different backgrounds, cultures, ages, jobs and interests. I was sitting at the piano and they opened their heart. I listened to very different kinds of unbelievable compelling stories which impressed me so much. I met people from which I had thought before that they only exist in Hollywood movies. And really learned how different people can be. I was asking myself: "These are so different people... Why do they open their heart to me? One day I decided to ask one charming woman: "Could you tell me why people choose me to open their heart?" I was totally embarrassed and didn't know what to answer. "Wooowww..."! Of course I was glad about that. But I have been aware immediately of my responsibility for that. I want to be honest: I'm really no extraordinary musical talented guy. And I don't believe in something like that either. I was asking them: Why don't you start learning to play the piano? And I got always the same excuses: No time, no talent, fear (I will never be able to make it...). Many people have heard before from friends and family that they are completely unmusical. I really didn't unterstand why they didn't give it a try. A try to make their dream come true! So one day I made the decision to dedicate some time in teaching people to play the piano beside my gigs and concerts as a professional piano player. Especially for people, who came visiting me at the piano bar and had the opportunity to meet them again for the lessons. I would like to make their day with helping to make their dream come true. I taught young and older people. People who where busy with their work (caretaker, manager, family mothers, students, retirees,...). Actually all kind of people you can imagine. Ok, not all of them where learning as fast as others did, but I set the goal to myself to really help all of them to make their dream come true. I talked to other friendly musicians, had researches for the best methods to learn to play the piano and other learning methods. I had a look for the best motivation tips and tricks (yes, that's a really important point!). I learned what the human brain needs to learn new motion sequences the best way and - most important - I tried a lot! (My piano students were so grateful that they loved to act as guinea pigs. After teaching so many people how to play the piano. So many different kinds of people... I recognized something that helped me to change my life and revolutionized the way you can learn to play the piano today! I got a real purpose... a mission... The mission to help people around the whole world to learn playing the piano. While I was teaching so many different kinds of people I noticed that I developed a piano learning system which works for everyone! Just remember: I already taught all kinds of people. Students, who never sat at a piano before... business people, who thought that they don't have enough time to get good results. Older piano players who were just having a look for more tips and tricks and even seniors who would love to get a new hobby. No matter how unexperienced or "unmusical" my piano students were, they ALWAYS made an amazing progress! They were able to play whole songs und beautiful music on the piano after I showed them how to play easy things in the right order. The decision to teach other students figured out the best thing I've ever done in my life. It helped me to develop the absolutely best strategy of what really works and what not. I was excited because it was like I'm experimenting in a laboratory und create a new invention. After I got more and more feedback during my piano lessons I noticed the really impressive progresses of my students. It seemed that I developed, nearly randomly it seemed, a plan which makes it possible to learn playing the piano in no time. And the best thing: They all just had fun! I made their day because this method has nothing to do with playing boring exercises up and down. We always start immediately with playing real music which sounds really good. This means much more than just playing the "right notes". Anyway: One important thing when making music is not only to know which notes to play, but especially HOW to play them so that they sound really nice. This is one thing I always didn't like about music schools. It seems to me that it's not so important to many teachers that you really learn something. Apart from this they often don't pay attention that the songs you play also sound nice. When some music school students are playing I often think that it wouldn't be worse if this song would be played by a machine. I really don't want to say that all private teachers are bad. There are really good teachers outside, but they are often hard to find. The conclusion: Now I had an easy, but clear strategy, that makes it possible for everyone to play his favorite songs and to reach the level he would love to aim. I put together a huge set with some of the most popular chord progressions that are found and can be adapt to hundreds of popular songs. When you learn to play the piano this way your horizon will open for a great time. You will impress your friends and your family, without suffer from boring exercise lessons. The playing of these easy techniques in realtime is one of my secrets for the development of your full potential und also a great piano sound. This set contains a huge repertoire of different kinds of music styles and more than 450 min of detailed piano instructions. And of course, with the important focus on having fun with the piano and learning while you are playing. Each lesson brings the fun right into your practice room. In addition I will give you many many tips and inspirations how you can create your own style and your own way of playing the piano. I am going to teach you these songs in my unique and entertaining way so that it will become a great adventure for you! These insider piano tricks will make it possible for you to play your songs faster and more beautiful than with any other learning method. Your piano playing will come to life. You will impress your friends, family and even yourself thanks to genius piano tricks. These techniques and tricks will lift your songs into a new dimension! Is your piano in tune? How should you play the keys in detail the right way? Are you really on the right way or are you practicing with mistakes which should be avoided urgently? Which piano level is possible for you? And what actually is really good music? You won't be alone! Absolute beginner, who have never been sitting on a piano are prepared so that nothing keeps cloudy. In these lessons you will learn everything from scratch! We cover the topics "The right way to sit on the piano", "How to position the fingers", "Playing of scales", "Notes on the keyboard", "All chords of a scale" and the best thing is that you'll get tips & tricks how you can learn the right way so that you will never forget what you've learned. We even discover the best way to practice so that you'll have the best possible progress and motivation stays forever! We cover the frequently asked questions of beginners at the piano in detail and we also have some cool chord progressions. Part 2 begins, where part 1 ended and make Piano Komplete really complete. You will learn how to use the whole keyboard with all keys you have available on your instrument. You will also know how to amplify your chords. I teach the difference between major and minor and show you famous ways of playing these chords. You will be even able to form chords and scales by yourself after you learned with this module! I dedicate many many videos to the topic "chords". Learn how to create a special atmosphere. How would you like to sound your piano today? Happy? Sad? With Tension? Relaxed? Free? Cheerful? Funny? Thin? Fat? You choose and than you'll make it happen! You will learn the very famous Keyboard-Riff of Van Halens “Jump”. Syntheziser-Sounds which you've met very often but you never knew that they are existing. You will learn how to find them and how to play them the right way. Everything in detail. 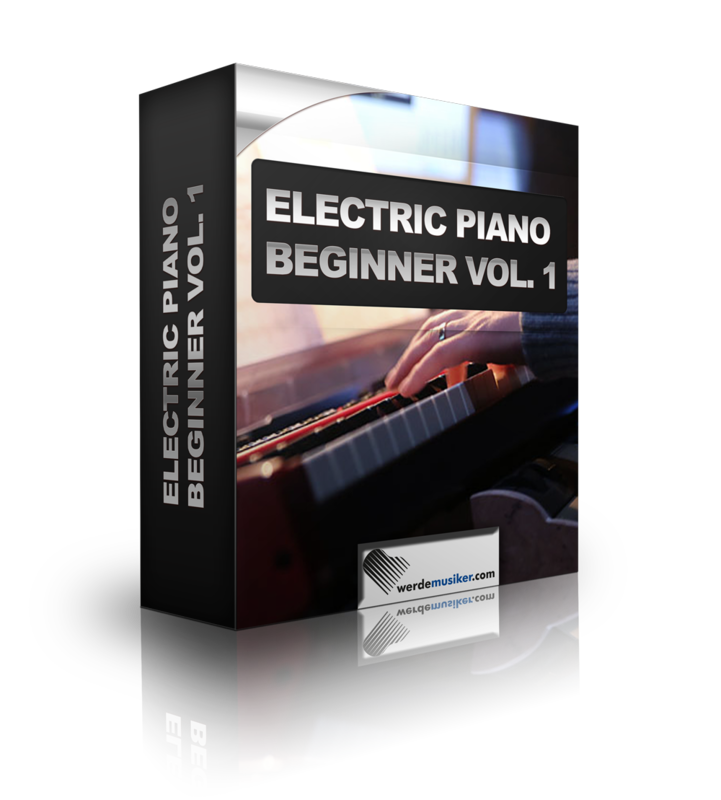 All in a very detailed way so that you get a perfect overview in the world of electric pianos. Learn in these lessons how you can communicate with others and play together. You will be surprised! It's neither a bad thing nor necessary to talk and speak with words to other musicians - you don't have too!! 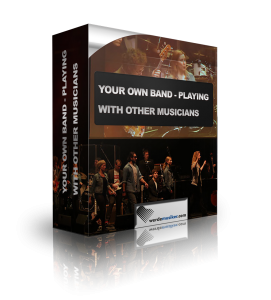 I will also give you some great advices which I learned in many many years of experience: how you will find great musicians and forming your own band. I believe that I can improve piano lessons all over the world and for that reason I would like to give my whole knowledge of more than 20 years of experience as a professional piano player and teacher to all the people in the world. 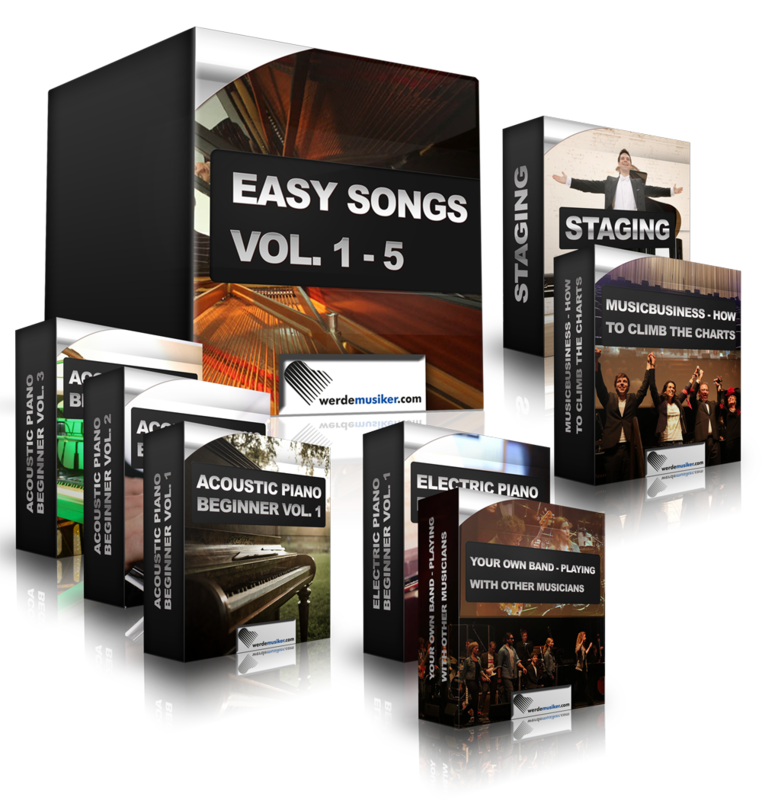 I will be happy if I can help as much people as possible to learn with this easy piano system. For that reason I put together this bundle deal. Yes Thomas, I would like to take advantage one of the bundle-offer "Piano Komplete" for just 199,- Dollar. Order now by clicking the red button below and get instant access to your download right after your order. Instant access to all lessons included. Attention: Get 2 complete courses as a bonus for free! I'm going to share more than 10 years experience in show business with you. 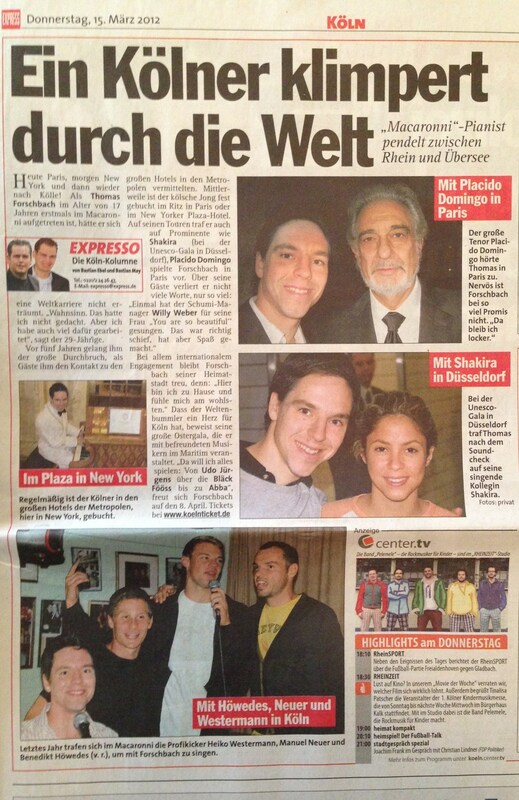 In a young age I started to get in touch with successful musicians and famous artists. I tried to ask them anything about how to become successful in music business. These chats changed my life! This module is highly interesting for you, if you are either planning to make a living just with music or if you are just curious about the details of the background of music business and the life of a musician. 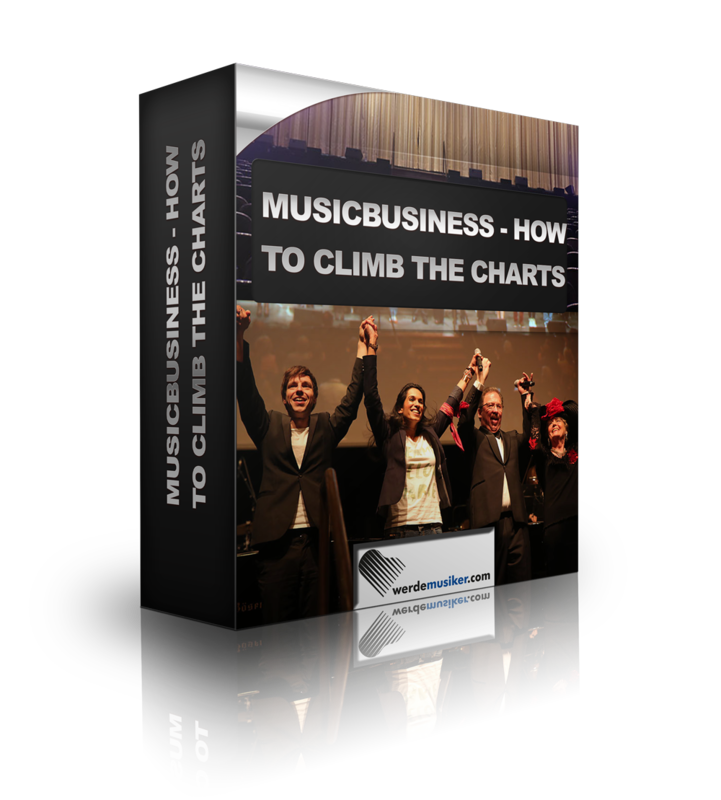 I'm going to explain you how the charts are working, show you possible ways for landing a hit into the charts. I'm going to talk about casting shows and more important: How to really make a living as a musician. There is no "one secret" for being a famous musician. But there are many ways for becoming a successful musician or just live as one. Some people think that being a musician is just an unprofitable activity and that's never possible to do this for a living. That's not true! If it has been your dream since a long time to become a professional musician, this really can change your life. Attention: It is not possible to define the value of this module. Imagine how much money you could make with this knowledge alone. I got feedback of some of my students that they think that this module is worth it a few 10.000,- Dollars!!! But I would like to make it possible for everyone to get this into their hands. For that reason I'm going to sell this module for just 39,- Dollar. And it comes even better. 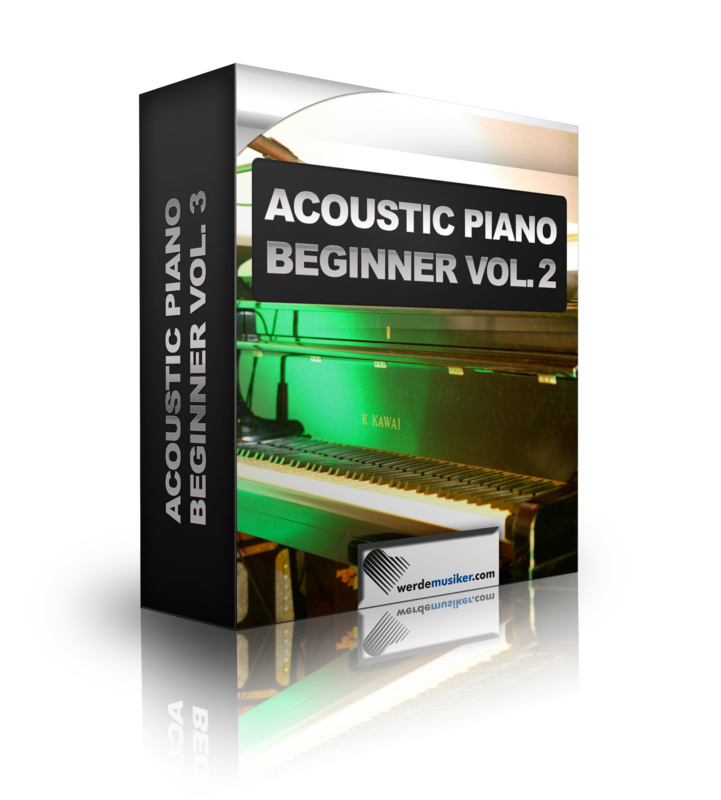 For a limited time this module comes free with Piano Komplete! There are no other piano lessons in the world covering this important topic! Because Staging is very underestimated when it comes to playing piano - even just for yourself. When we talk about staging, we don't talk about the "right notes" or something like this. We talk about the way you play the notes. It's about the "HOW" and not the "WHAT". There a many many ways to play a song!!! It doesn't matter if you want to perform on a big stage in front of a crowd of people or just in your living room for yourself. 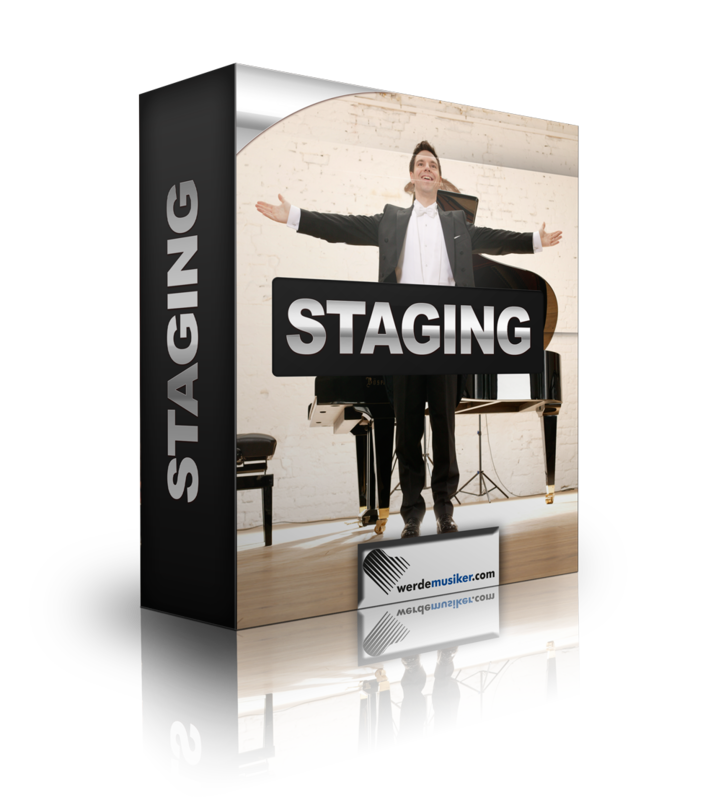 Here you will get the best advice for staging and performance. Order now this bundle offer piano lesson package for beginner! 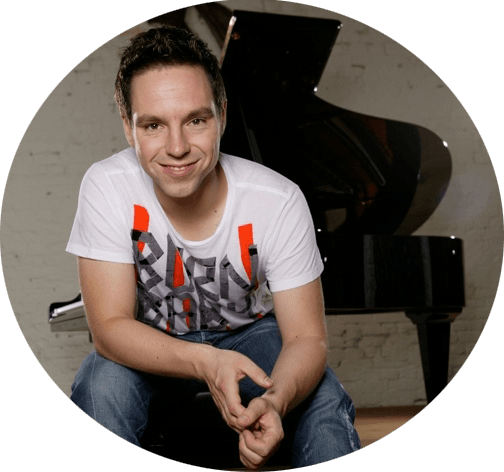 Yes Thomas, I would like to save and take one of your 20% OFF discounted piano beginner course "Piano Komplete" for just 199,- Dollar. And here is my unbeatable guarantee: You don't have to decide today! There are 60 days left for your final decision. If you are for any reason not 100% satisfied with this piano lessons you can get a full refund anytime within 60 days after your purchase. In that case I don't want your money! All you have to do in that case is to send me a short email that you want to make use of this guarantee and you get your money 100% back. No questions asked! I have much rather a customer less than an unsatisfied one. I'm really happy with the situation that I can make other people happy with my work. I'm all in for that: I love to work 7 days for it. Maybe you know the uncountless comments on my YouTube channel, Facebook or my blog. I do nothing more than giving you feedback to Piano Komplete. Your videos are nothing less than amazing and very helpful. If you wouldn't be on earth I don't know how to learn. The other ways and apps I tried didn't bring me the success and fun I have with your videos! And again thank you so much for watching my video and showing me respect to my playing. 🙂 Please go on with your work as you do. I love to play my wonderful piano thanks to you! I highly recommend to give this course a try. You have nothing to loose thanks to his fair money-back-guarantee! I would like to give you feedback. But please only write my name as "Michael D.". I was really exited from Thomas's free piano lessons so that I ordered the full Piano Komplete package. That was one of the best decisions in my life! Now there's more than a year ago and I'm still exited about my continuous improvement. It's so much fun with learning with Thomas and I'm so grateful to find him on Youtube. 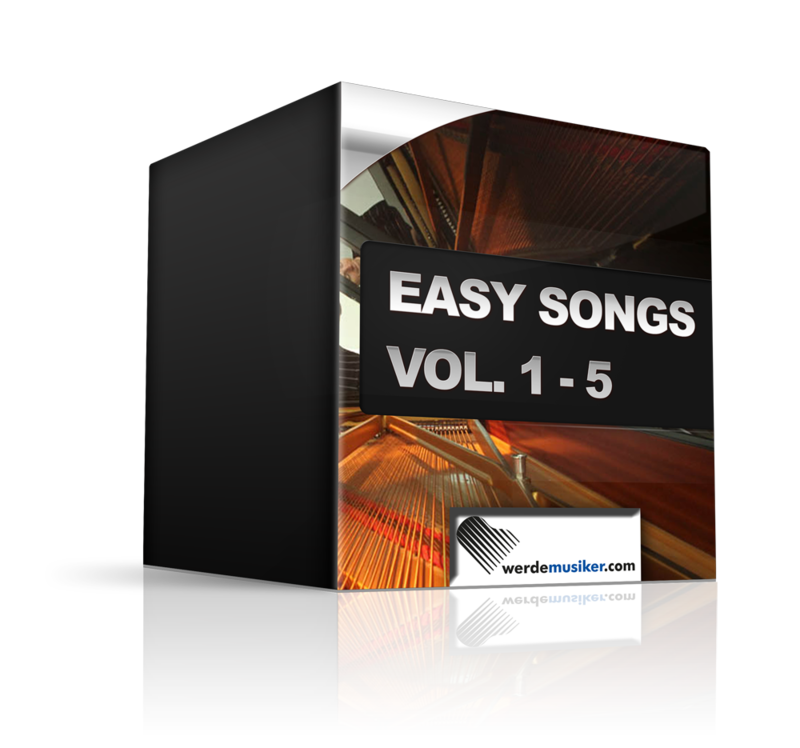 The easy songs gave me an interesting and thrilling input and inspirations for weeks and month and I'm still practicing with them. All videos are made really great full packed with exiting detailed information. I really noticed that I'm learning from a real professional musician and not an bored an old shoot piano teacher. Thomas, please keep doing work the way you have done it till today. I really appreciate your joyful way of teaching to play the piano and locking forward to more. It's so much fun! I'm really happy with "Piano Komplete", because I really notice that I'm learning a lot while I'm enjoying playing the piano. I'm locking forward to what is coming next. Thank you so much for bringing to much fun and joy into my life!!! P.S. This is a very exclusive limited special offer for a very discounted price which is available only for a short time. It's only available for you as a member of my free piano crash course. Unfortunately it is not possbile for me to make this offer in the long run. For that reason it's only available for you for a very limited time. If you go for it now, you are secured with my money back-guarantee. Click here to order now!